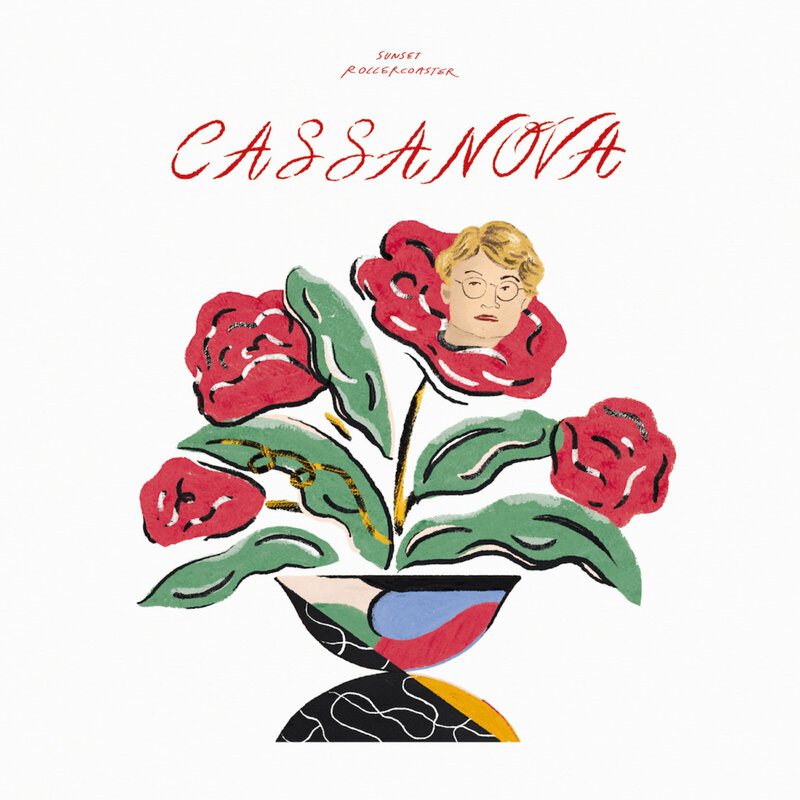 "Sunset Rollercoaster finally back with new album titled “Cassanova”"
After releasing their latest EP in 2016, this Taiwan-based band, Sunset Rollercoaster finally back with their new album titled “Cassanova”. This album might be different from what you’ve had heard before on their full-length album, Bossa Nova back in 2011. In this album, they invite us back into the era of the 80’s. The 35 minutes short album which consists of 9 track, brings together a mix of upbeat and mellow songs in the right consistency. With the thick nuance of 80’s vibe which may be described in the welcoming track titled “Almost Mature 87”, this track is presented with the sharp-wittedness synth sound that balanced Kuo’s vocal tone well. Although this track does not give the cheerful impression, we can still hear the same 80’s music with funkier and upbeat sound inside their long-awaited single, “Cool of Lullaby”. What you will love about this album is that you will be brought to recall the heyday of Japanese city pop music. Inside the track 4, “Angel Disco Love” we can hear the groovy elements which you can listen to the snappy sound of synth combined with the catchy sound of guitar and drums. Aside from that, the other groovy and funk song called “Summum Bonum” might be the answer from their masterpiece song “My Jinji”. As the chorus part says “I know, I know why / Why you leave me, baby, / Don’t leave me behind again” and “I can’t hear your answer through the air / I won’t cry / At least I tried”. These gave birth to fairly precise speculation that this lyric is the answer for the chorus within My Jinji part, “Oh don’t leave me behind / Without you I would cry / Cause only you my baby / Only you can conquer time”. To reinforce the statement, in one of the interview Kuo indeed ever said that, “...when you listen to every song (in Cassanova), the song will be sung to Jinji Kikko” because this album follows the story from the previous EP. Apart from that, this song also ends with a dynamic saxophone tune that somewhat reminds us of the outro of My Jinji. Now, let’s move aside from the speculation. Sunset Rollercoaster also include their not-so-new mellow songs titled, “Greedy”, “Slow” and “Oriental”. We may call it ‘not-so-new’ because they already performed this song in some of their concerts back in 2017. However, they somewhat changed the arrangement for the songs, as in “Slow” they added more gentle piano sounds which give us more romantic vibes when we hear it. Moreover, with the drum sound as a transition, they changed the instrument into a more psychedelic sound with the artificial 80’s effect which brings us into the song called “Oriental”. “Oriental” is still the part of “Slow” - as they have the same lyrics - it’s just that they made the atmosphere darker. Before the closing track, they also include a dreamy song called “Libidream” that serves with some psychedelic elements. “I will be gone, I will be gone, I won’t be long, I don’t belong”, and this is how the last track “10-Year Taipei (Matured 17’) goes. With the fade-out effect, in the very end, we can hear the sounds that will connect to their previous song inside the EP Jinji Kikko, “Burgundy Red”. Although we knew that honestly, nothing could replace “My Jinji” from our mind, we could say that this album is surprisingly amazing. Final Verdict: 4/5 Listen to the album below! "This song will be the perfect lullaby for you in every night." "We're treated to an abundance of drifting guitar riffs & upbeat tempo"
"A groovy psych-pop tune with a super catchy hook"
"This track is nothing but positive outlooks and a broken-heart phrases"
"Feel the atmosphere of a beach through your ear"